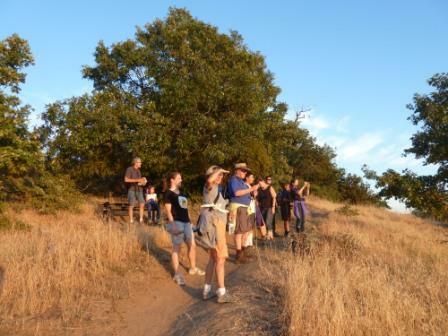 Saturday, May 5th, hike to the summit of the Volcan Mountain Wilderness Preserve. You'll join the San Diego Natural History Meuseum's Canyoneers for an indredible spring hike along the Five Oaks Trail. 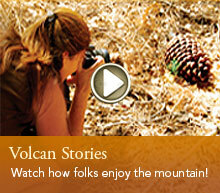 An optional continuation to the summit of Volcan Mountain is also offered. The preserve offers 2,900 acres offering views across the San Diego River watershed to the coast and to the Salton Sea in the Anza-Borrego Desert in the east. Due to the trail altitude (4,100 feet at parking and 5,353 feet at the summit), this 5.2 mile roundtrip hike to the summit is considered moderately strenuous. Directions: Two miles north of Julian. Park parallel to Farmers Road on the shoulder and walk 200 yards east up the gravel road to the Hubbell Gateway meeting spot.